Across from the Little Mermaid ride in California Adventure, is a special gift shop dedicated to the very same underwater Disney classic movie. 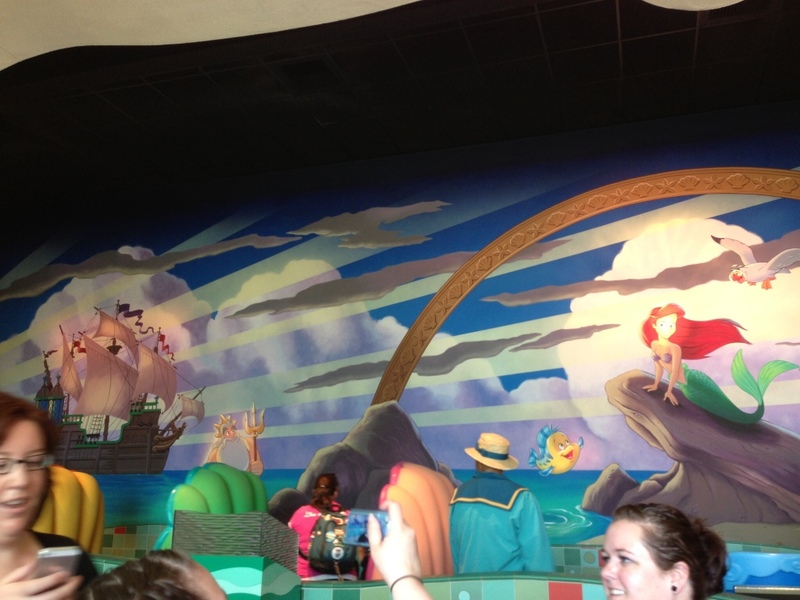 It is a must-visit for any Ariel fan. Outside of the ride. 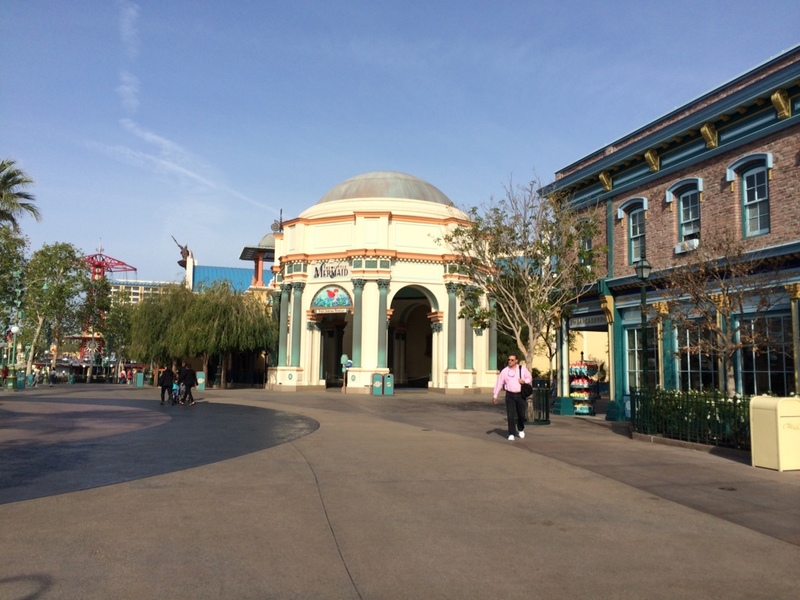 The shop is across the ride entrance on the corner. Inside the shop are shirts, pins, and all kinds of things themed from the movie. 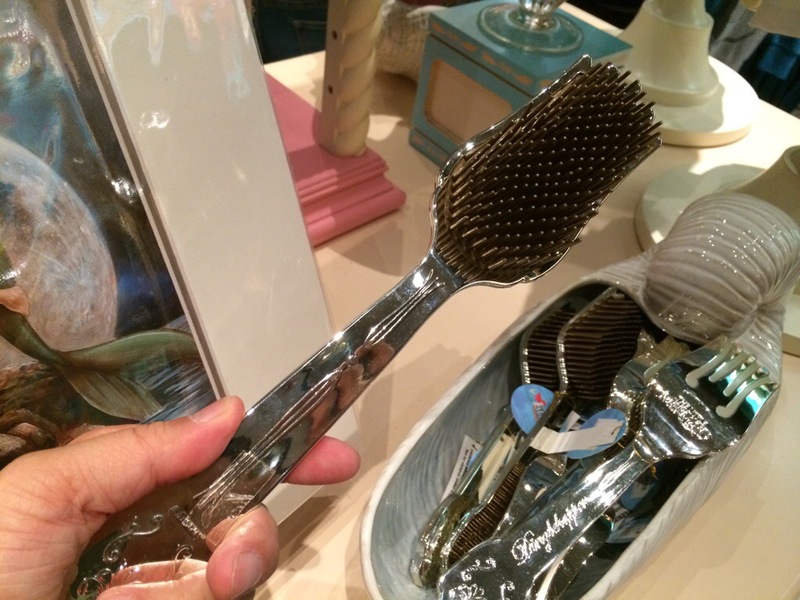 But one particular shiny item caught my eye. 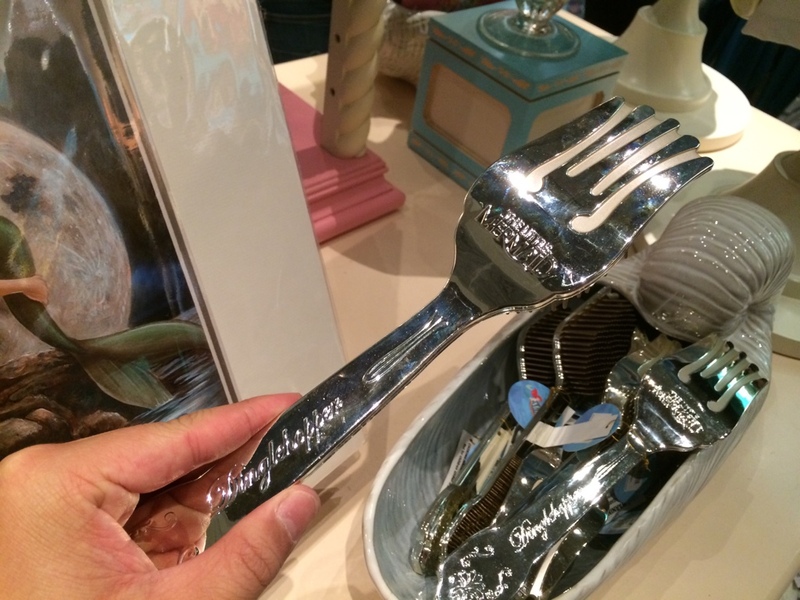 Remember the hilarious scene where Ariel uses her fork at the dinner table in front of prince Eric? 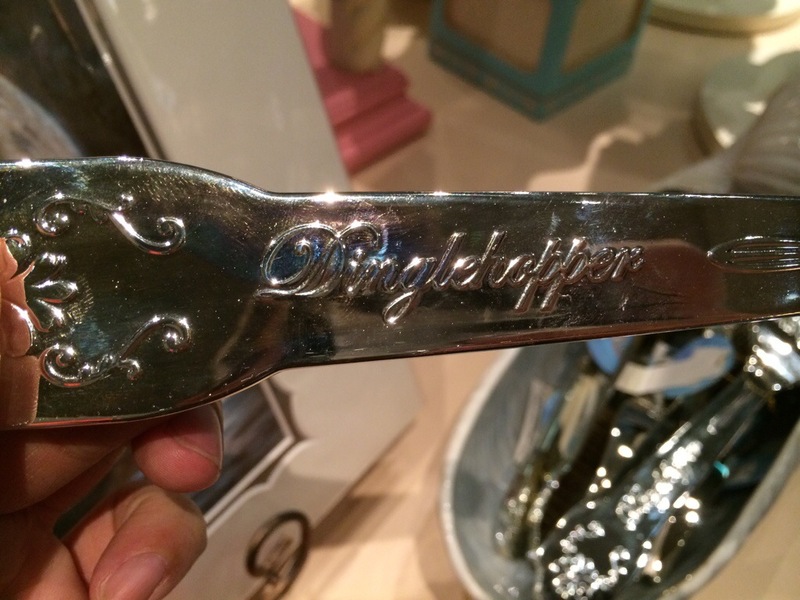 Well, now you can buy your very own Dinglehopper to take home and brush your hair with in front of your Prince crush! 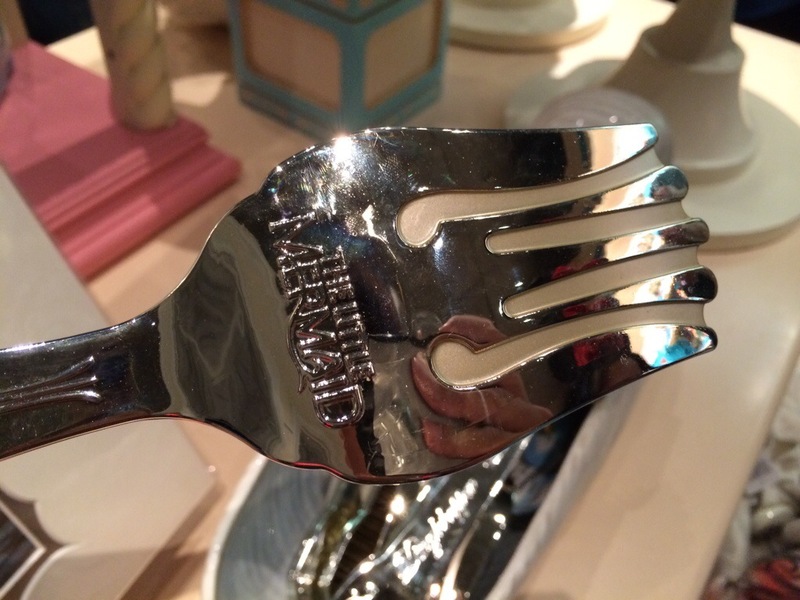 But it’s not just an ordinary fork. Take a closer look. 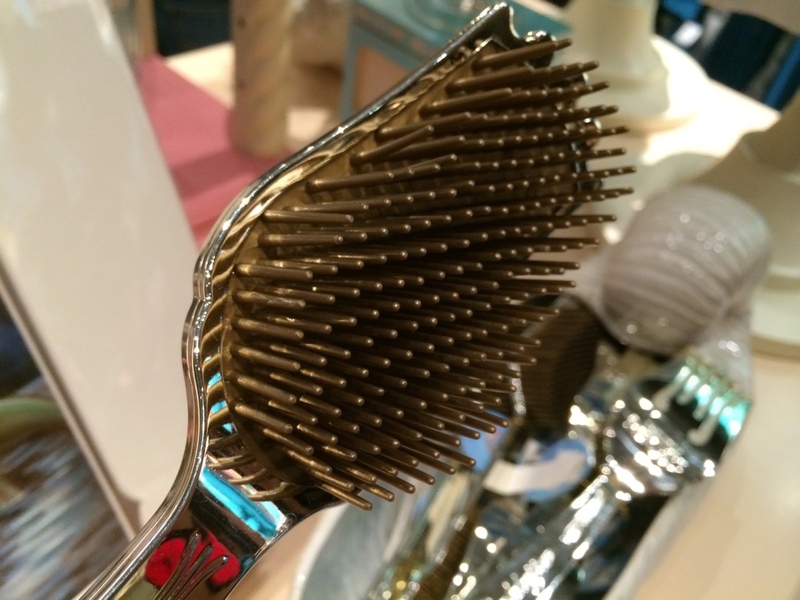 You can actually brush your hair with this! 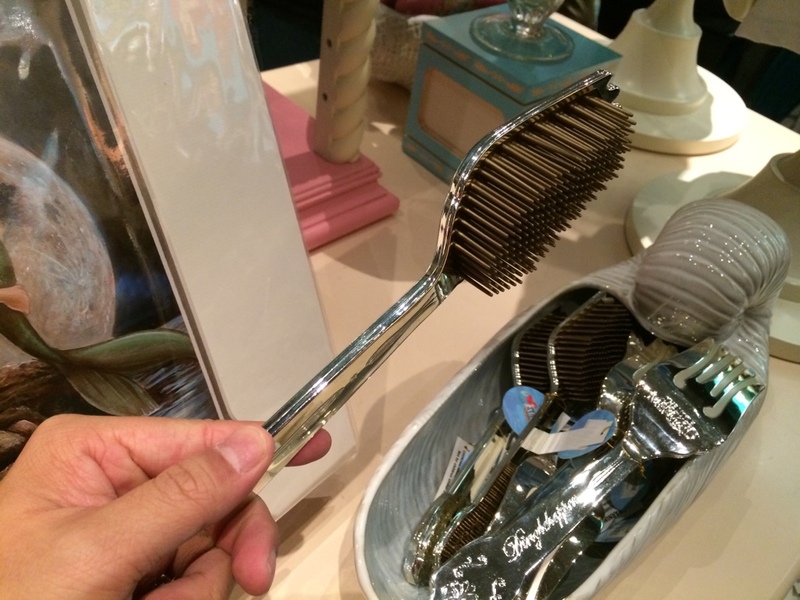 Not that you can’t brush your hair with a fork, but I think this would do a better job of it. The aesthetic design is fantastic! 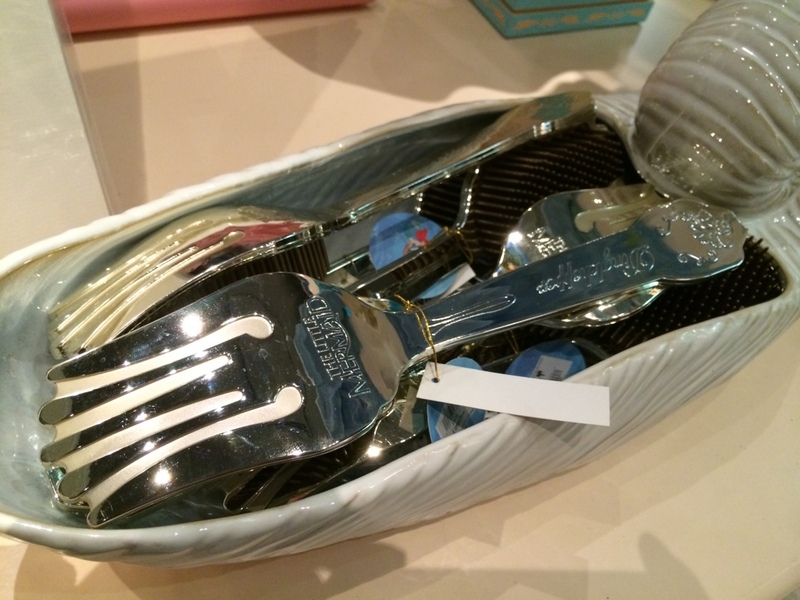 It’s shiny, metallic outer layer looks very cool and matches a large fork superbly. On the other hand, although the material is very lightweight, it does feel like cheap plastic. Still a very cool product! Definitely for those who prefer life under the sea.